An annual awards ceremony which recognises safe rowing practices on the tidal Thames, has seen its top award go to Mortlake Anglian and Alpha Boat Club (MAABC). 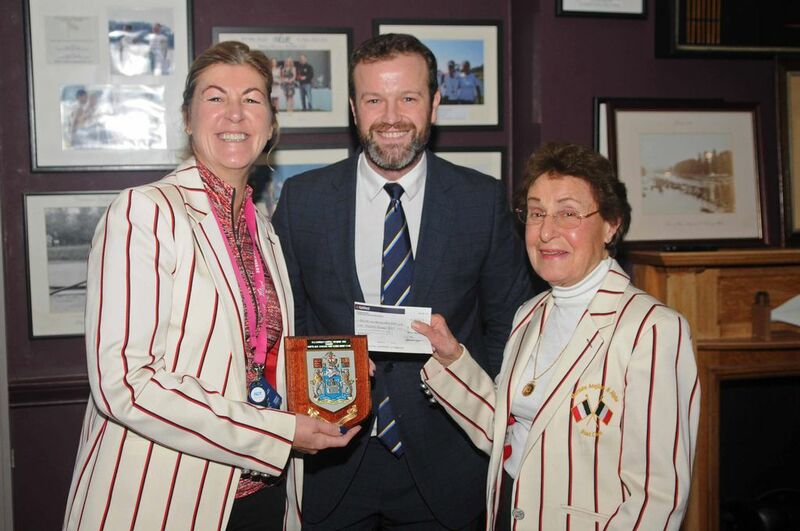 The west London club were named 2018 winners of the Port of London Authority's (PLA) Rowing Safety Award this week. The 12th annual event, held at MAABC in Mortlake, saw the club receive a cash prize of £1,000. There were also awards for runners up: Twickenham Rowing Club and most improved: Imperial College Boat Club - who received £500 each. The awards are made following assessment of the year rowing safety reports and assessment by the Thames Regional Rowing Council. PLA chief harbour master Bob Baker said: "Congratulations to Mortlake, a long-established club who are deserved winners this year. I think the awards are a great way to highlight the importance of safer rowing, as it encourages other clubs to follow suit." Thames Regional Rowing Council's Bill Mitchell said: "MAABC are a big club and their approach to safety is admirable. We felt that it was about time they were recognised for that. Twickenham has developed a very good approach to safety. It is very welcome that they have been recognised, especially as its members row on a busy stretch of the tidal Thames." The tidal Thames is one of the UK's busiest waterways and is home to the country's second biggest port by tonnage of goods handled.